On the Sunday after Christmas children who come to worship (not unlike the adults who come to worship) will few in number and will be coming in many moods. Some will be basking in the rosy glow of a happy Christmas. Others will be deeply disappointed either because they did not get what they wanted or gatherings were less than happy. Others are just tired – and maybe cranky. Christmas is over and won’t come again for a year. Will you celebrate the First or Second Sunday after Christmas Day on Dec. 27? Because Christmas is on Friday this year, the first Sunday after Christmas Day is only two days later. Christmas is over, but still lingers and New Year’s still feels “in the future.” So, the Sunday is likely to be a meditation on Christmas and how it might impact our lives in the coming days. Unfortunately, the texts for the First Sunday after Christmas Day focus on Samuel’s childhood and Jesus in the Temple at 12. Strangely enough the texts for the Second Sunday after Christmas Day (find Second Sunday resources here) are more Christmas-y. So, it might be better to use them on December 27. In this case it would be possible to use the Samuel and Jesus stories (Second Sunday after Christmas) on January 3 the day before most children head back to school which is long enough after Christmas that children are ready to think about the baby Jesus growing up. Will there be a New Year’s Sunday (see New Year's Day resources here)? If so, it will probably be on January 3. That would be another reason to move the Second Sunday texts to December 27 and save the stories of Samuel and Jesus at 12 for another time in the coming year. Will you celebrate Epiphany (see Epiphany resources here) this year? It falls on Wednesday this year, but could be celebrated on Sunday, January 3. If your congregation will celebrate Epiphany on a day other than Wednesday, January 6, what about celebrating Epiphany light and the magi on December 27. That would leave Jan 3 for either New Year’s or these stories of Samuel and Jesus. It all bunches up on January 3! There are lots of choices! Whichever you choose, make January 3 a festive Sunday that will draw children and their families back to church as they return to everyday habits. It can set the pattern for the rest of the school year. * This is a difficult story to share with children. A child who is loved so much that he is sent away from home to live at the Temple at a very young age and only saw his parents once a year thereafter is a hard sell. One new set of clothes each year seems meager. There is a positive side to the story, but children will not hear it as the story is read. Worship leaders will need to tell them that Samuel as a young child was a respected member of the Temple household. He and Eli worked and talked side by side every day. They were good friends. Samuel’s parents loved him, were proud of his place at the Temple, and did not abandon him. Also, note that God does not ask parents to abandon children. 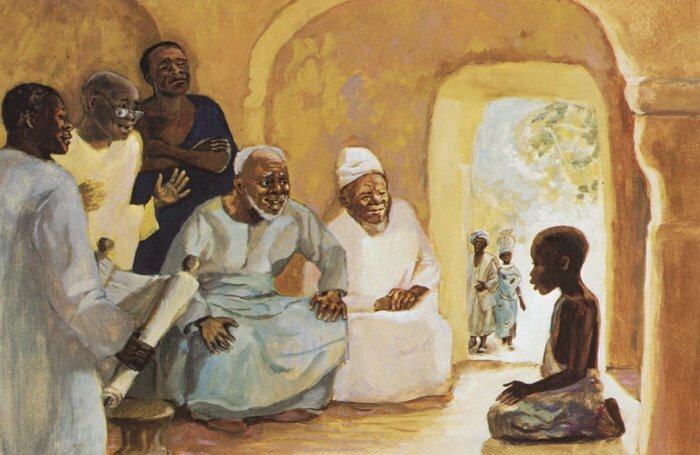 * This story is read today as an echo of the story of Jesus in the Temple at age 12. Because children are more likely to be confused by similar stories about different people than to hear them as echoes, it might be wise to focus on the story about Jesus today. * This story and the story of Jesus in the Temple at 12 feature adults and children talking and worshiping together in the Temple. Their interaction is key. Samuel and Jesus are not off to the side somewhere. They are fully involved. That makes this a good opportunity to push full involvement of the children of your congregation in your worship and ministry. Tell local stories of adults and children working together. 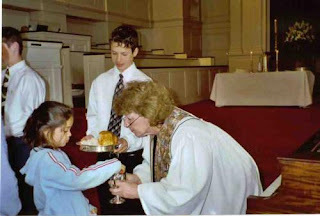 Point to children serving as acolytes, ushers, in the choirs. If there were important not-in-your-family adults, who were your friends and mentors as you grew up, tell stories about them. Encourage children to be in the sanctuary and adults to get to know the children around them at church. Insist that the generations have much to learn from each other. * On the Sunday after Christmas recall the Christmas story, then enjoy calling on everything in the universe to praise God for this amazing event. Instead of having one reader, invite as many as possible in the sanctuary to get involved in this call to praise. As it is laid out below, Group 1 could be the choir and Group 2 the congregation. Or, Group 1 could be the left side of the congregation and Group 2 the right side. Invite children especially to join in the reading since the words are words they are likely to know.
! * ! * ! * ! * ! * ! * ! * ! * ! * ! * ! * ! * ! * ! * ! * ! * ! praise the LORD in the heights! praise the LORD all host! praise the LORD, all you shining stars! stormy wind obeying God’s command!
! * ! * ! * ! * ! * ! * ! * ! * ! * ! * ! * ! * ! * ! * ! * ! * Give children a page with a small picture of the nativity in the center and lots of space to add pictures of things mentioned in the psalm. These might be handed out during a children’s time or simply be in worship bags. Watch for children to have them as they leave the sanctuary and take time to talk with them about what they have drawn. * “All Creatures of Our God and King” sets the words of St. Francis of Assisi to music. St. Francis was surely remembering Psalm 148 as he wrote it. The repeated “Alleluias” are easy for even non-readers to sing and recall all the Christmas “alleluias.” Other hymns based on this psalm are harder for children to sing. * “Let The Whole Creation Cry” not only recalls the praises of this psalm, but connects to the stories of young Samuel and Jesus in the Temple. The words are simple enough for your readers to try. Before singing it point out the opening phrases of the two verses noting their call for ALL of creation both YOUNG AND OLD to sing. * Depending on your focus in worship today, these verses can be read as “take aways” from the Christmas story for the new year or as instructions (separate from the Christmas story) for the new year. To explore them with children pick out a few items to ponder briefly, then pray about them in our lives during the coming year. The KINDNESS of the innkeeper who paid attention to two needy people on a very busy day. The MEEKNESS of Mary and Joseph who kept doing what God asked even when it was hard. Translate meek as obedience, i.e. they did what God asked even when they did not want to because they were tired and hungry and not sure what was going to happen next. “Let THE WORD dwell in you” is what Mary did when she “kept all these things and pondered them in her heart.” We are to read, ponder, and live out what we read in the Bible every day. PATIENCE – Identify times children have had to wait - for Christmas to finally come, for their turn doing something, for everyone to be ready to go where you want to go…. Note that there will certainly be times during the coming year when we will have to wait and be patient. FORGIVENESS – Read verse 13. Ask how many have had to “bear with” or “put up with” someone during the last few weeks. Then ask how many have had to forgive someone who has said or done something mean to them. (Just ask for show of hands, not stories which could prove embarrassing.) Note that these things happen to all of us and will happen to us in the coming year. Our instructions are to forgive. It is a hard instruction to carry out. But, remembering that God and other people forgive us makes it a little easier. KEEP GOD’S WORD IN OUR HEARTS – Read verse 16a. Point out that we can guess some things that will happen in the new year, e.g. we know what grade we will be in, but there will be a lot of surprises. To be ready for those surprises we need to study and remember everything God has told un in the Bible. All those things will help us get through the year. And, yes, I’d use it as an opportunity to push new year’s resolutions to get the whole family to church school regularly. * Even if you are still decorated for Christmas, just before reading Colossians, bring out and prominently display a collection of everyday items such as a lunch box or bookbag, pieces of sports equipment, an alarm clock, etc. Remind worshipers that the holidays are about over and the activities behind each of these items are coming back. Note that our challenge is to take all the good news and joy of Christmas back into our everyday lives. Urge worshipers to listen to the letter to the Colossians for Christmas attitudes that we can take back into our lives or for instructions for a new year. (The kernel for this suggestion comes from Creating Holy Spaces, by Delia Halverson and Karen Appleby). * If you are focusing on the stories of Samuel and Jesus growing up, these verses become instructions for us as we do the work of growing up whether that work is learning to ride a bike, do our school work, deal with a bully, etc. As we grow up we are to be kind, patient…. * This story could be read by a 12 year old boy. Or, it could be read by a boy and his parents. The script below has lots of short phrases that can help convey the anxiety and confusion of the situation when well read. So, a rehearsal might be a good idea to help this family read with the emotions of the biblical family. Father: Now every year his parents went to Jerusalem for the festival of the Passover. Jesus: And when he was twelve years old, they went up as usual for the festival. Father: but his parents did not know it. Assuming that he was in the group of travelers, they went a day’s journey. Mother: Then they started to look for him among their relatives and friends. Jesus: sitting among the teachers, listening to them and asking them questions. And all who heard him were amazed at his understanding and his answers. Father: But they did not understand what he said to them. Jesus: Then he went down with them and came to Nazareth, and was obedient to them. Mother: His mother treasured all these things in her heart. Jesus: And Jesus increased in wisdom and in years, and in divine and human favor. JESUS MAFA. Jesus among the teachers, from Art in the Christian Tradition, a project of the Vanderbilt Divinity Library, Nashville, TN. http://diglib.library.vanderbilt.edu/act-imagelink.pl?RC=48280 [retrieved November 5, 2012]. * Display the picture before reading the gospel. Then pay attention to the figure of Jesus sand the figures of the teachers. Ask children what they learn about Jesus from this picture of him. Then, repeat with the teachers. Discuss what is the same and different in the two. Note that they are all thinking together about questions that are very important to them. They are thoughtful and respect each other. Celebrate asking important questions together in your church. * Peter Pan and the Lost Boys want to stay children forever, Wendy and her brothers enjoy the stories and games of childhood but know that they are meant to grow up and were unwilling to stay children forever. In this story Jesus is working on growing up. This may be copied for non-commercial use. 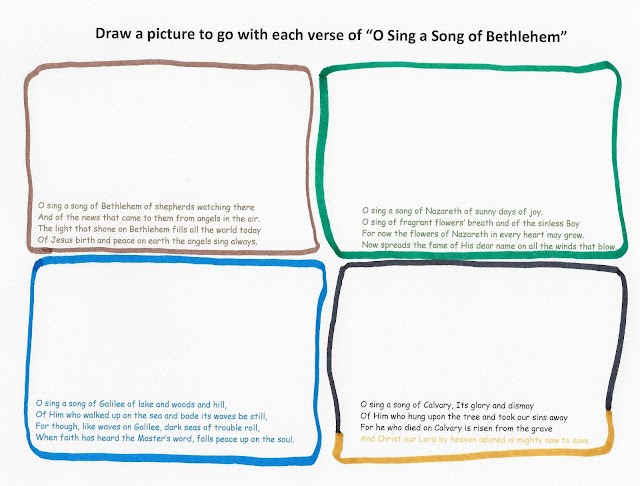 * Invite the children to illustrate the verses of “I Sing a Song of Bethlehem.” Before giving them a divided sheet to work with, have them turn in their hymnals to the song. Point out the beginning of each line, briefly identifying the time of each verse – birth, childhood, adult life, and the cross. If you have a New Testament map, pointing out the four named places, suggests to the children that these are real stories about a real person who lived a real life. Encourage them to draw stories they remember that go with each verse. Older children can read the verses to find ideas. The over the top approach: Make each child a booklet by folding a piece of paper in half. In each of the four panels print one verse of the song. If they start working on this early in the service and sing the song later in the service, they can sing from their own illustrated hymn book. The first verse is about Christmas. We know that story well right now. The second reminds us that the baby in the manger wasn’t just any baby, but God in human skin. The third insists that Jesus grew up just like each of us. He had to figure out how to do things like walk – just like we do. He got bobos – we get lots of those. He had happy days and sad days – just like us. The last verse looks ahead. Not only was Jesus with God before he was born, Jesus is with God forever. Jesus/God is always with us, even after we die. That’s a lot in one song. Let’s sing it all together.